Legislators in Concord are about to add another layer to the already challenging cost of doing business in New Hampshire by abandoning the last steps of modest reductions of the state’s two major business taxes. In 2015, the business profits tax was 8.5 percent. The business enterprise tax was 0.75 percent. The state’s corporate taxes were among the highest in the country. Combined with one of the nation’s highest energy costs, a limited labor market and high housing costs, legislators will be making it more difficult to attract new companies and retain those already doing business in the state. Recognizing the economy was improving and wanting to stimulate further growth, the Democratic governor and Republican Legislature at the time agreed to reduce business tax rates in small steps over several years. For the taxable period ending in 2016, the BPT went down to 8.2 percent. For 2018, it went down to 7.9 percent, and for taxable year 2019 the rate is 7.7 percent. The BET also went from 0.75 percent to 0.72 percent, then 0.675 percent, and to .60 percent in taxable year 2019.
were not attained, the rate reductions would be reset. The final tax reductions are scheduled for 2021, when the BPT rate will be 7.5 percent and the BET 0.5 percent. However, there is a move at the State House to squash this tax relief. House Bill 623, which passed in the House, 200-141, and now goes to the Finance Committee for further debate, would “freeze” these tax rates at the 2018 level. However, since we’re already in 2019, it’s not a freeze but a tax hike. A similar bill in the Senate, Senate Bill 301, would also raise business taxes to these levels. A third bill, SB 135, takes a slightly different approach. Like the other two bills, it rolls back business tax rates to the 2018 level, but instead of freezing them at those rates, the bill suspends the final two business tax reductions for two years. One could infer that reversing agreed-upon tax rates must be the result of some fiscal calamity. Ironically, business tax revenues are not down; they’re up. New Hampshire has a very large surplus in business tax revenue, even with the BPT and BET reductions (or perhaps because of them). 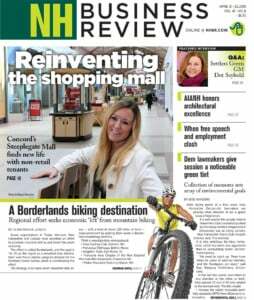 State revenue reports show that even with the lower rates, New Hampshire collected nearly $114 million more in business tax revenue than anticipated last fiscal year. After the first seven months of this fiscal year, the state is already $143 million over projections. In fact, total revenue exceeding projections since FY 2016 is $406 million. If the tax receipts are still flowing in even stronger than before, why is the Legislature seeking to go back on its word to businesses? Perhaps a clue lies in the way proponents talk about the rate reduction. More than one policy leader has characterized them as “tax cuts for large out-of-state corporations.” Notwithstanding the fact that “out-of-state corporations” — like BAE Systems, Liberty Mutual Insurance, Whelen Engineering and hundreds of others — are some of the most attractive employers in the state, seeking to position tax relief as solely going to large employers to the exclusion of our small businesses is disingenuous. By raising business tax rates, hundreds of small businesses up and down every Main Street in New Hampshire will also be harmed. Some are also dismissive of the over-performance of business tax revenue, claiming it’s a one-time bump from recent federal tax reform. While those cuts probably had some impact, New Hampshire business tax revenues have been exceeding projections since 2016, long before the federal cuts were signed into law. In his recent budget address, Governor Sununu said, “It is irresponsible governance for the legislature to ping-pong core tax policies every two years.” We agree. The state made a promise to businesses. The state ought to keep it. Brien Murphy is vice president of sales at Boyce Highlands, Concord.